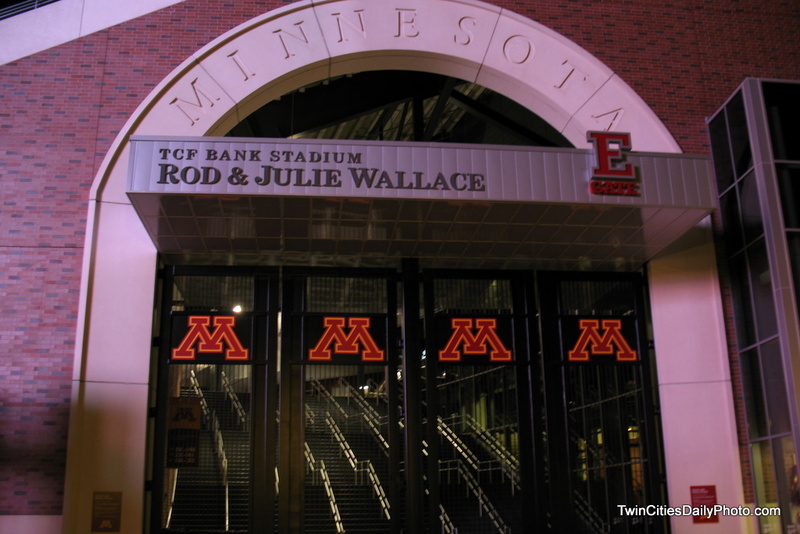 One of the entrances to the new Gopher football stadium. I have not been inside to a game yet, being as this was the first season, tickets were a bit tough to get. Not that I tried hard to get them this year. It is on my list of places to see a football game in the future years.